In the aftermath of a suspected terror-related attack in Turku, government ministers plan to tighten restrictions on undocumented people and on dual citizens guilty of terror offences. Tougher punishment could also be in the works for those who assist people in the country illegally. Minister for European Affairs, Culture and Sport Sampo Terho of the Blue Reform parliamentary group says that the government is planning changes to the Nationality Act, which dates back to 2003. The government is going through Finland's terrorism-related legislation and proposing changes to it during ongoing budget talks, says Terho, who represents a splinter group that broke away from the populist Finns Party in June – and has replaced it in the cabinet despite not yet being a political party. Terho says that the government aims to change the Nationality Act so that citizenship can be stripped of any dual citizen who is found guilty of a terrorist act. 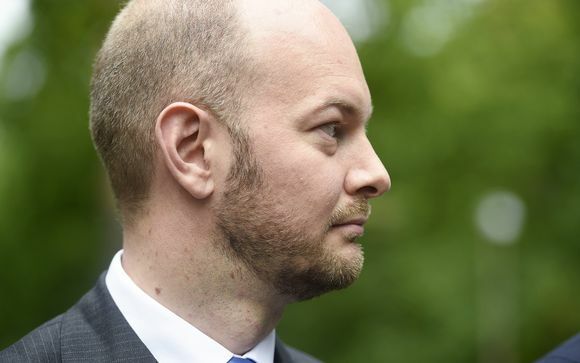 The leader of the Blue Reform parliamentary group, Simon Elo, told Yle that the cabinet is preparing a raft of changes to the Nationality Act and the Aliens Act. "We're changing the Aliens Act and the Nationality Act so that we can in the future, based on national security, cancel residence permits, impose entry bans, rescind citizenship or refugee status," Elo said on Thursday. He says that rejected asylum seekers will be subject to threat assessments and detention if necessary. "Punishment for those who harbour people who are in the country illegally will also be clarified," Elo says. Terho also says that the government will ensure that police have all the necessary regulations on the use of force in the most serious violent situations. Terho added that the government will more specifically criminalise the concealment or abetment of individuals who are in the country illegally. The cabinet is also earmarking 17 million euros in supplementary funds for internal security, says Finance Minister Petteri Orpo, chair of the conservative National Coalition Party. Twelve million euros of that will go to police and the Finnish Security Intelligence Service (Supo), while five million will go to the Ministry of Justice. The changes follow the stabbings of 10 people in Turku on August 18 – a case that is being investigated as potentially terror-related. Deported Afghan returns to Finland in "exceptional case"